Meet on arrival at Indira Gandhi International Airport Terminal III and transfer to your hotel. Spend rest of the day at leisure. After breakfast, full day sightseeing tour of Old and New Delhi. The visit of the old city ( belongs to XVIIth century) includes the Great Mosque, Jama Masjid and the Red Fort, a perfect example of Mughal architecture built by Emperor Shah Jahan between 1639 and 1648. Enjoy cycle rickshaw ride around the colorful giant bazaar, Chandni Chowk. In the new part of the city visit – theQutab Minar (built in XIIth century), a splendid monument minaret of the Afghan period. Raj Ghat, the memorial of Mahatma Gandhi, and the Mausoleum of Humayun – a huge building that inspired Persians, is the precursor of the Taj Mahal. Rajpath, the equivalent of the Champs Elysees in France, the India Gate (erected in the memory of unknown soldiers died during First World War), The Parliament, and the house of the President. After breakfast drive to Mandawa, situated in the heart of the Thar Desert. This beautiful village still has some beautifully preserved houses of medieval Indian traders built in a typically Rajput style having original paintings showing religious scenes or objects.On arrival in Mandawa, check into hotel. Later walking sightseeing tour of Mandawa visiting the Havelis, Anandilal Poddar, Bansidhar Bhagat and Chokhani etc. Morning after breakfast drive to Bikaner. This is a deserted journey with scanty vegetation. Bikaner is a royal fortified city with a timeless charm and medieval glory. 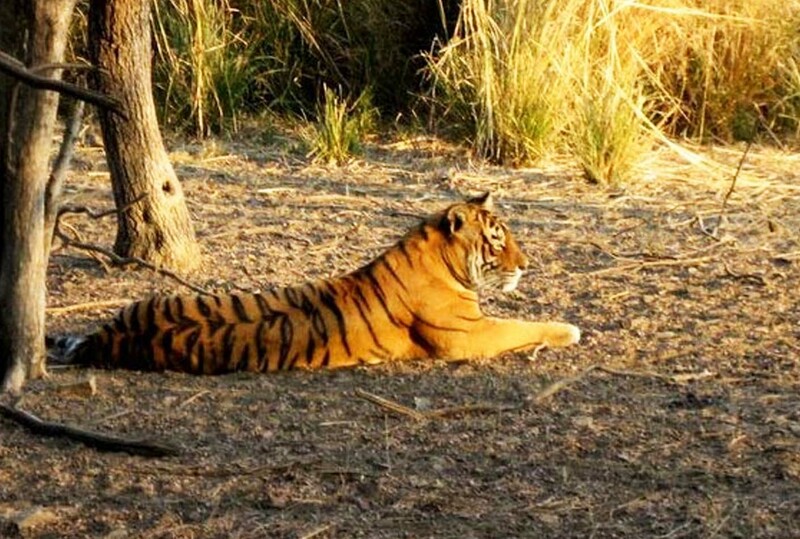 It is located in northern Rajasthan, amongst the sand dunes. 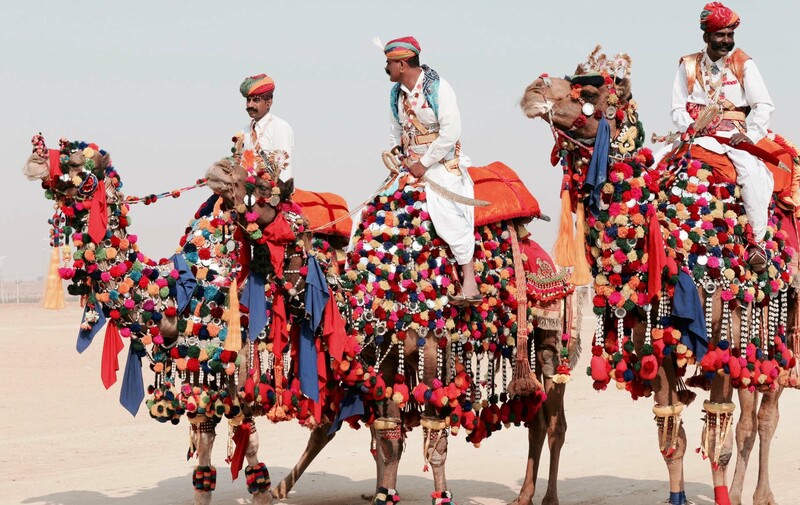 Known as the “Land of the Camel” Bikaner boasts of having the best camels in the world. This desert town popular for its temple and Forts, which shows the rich cultural and architectural heritage of the city. On arrival in Bikaner, check into hotel.After a short rest proceed for the half day sightseeing tour of Bikaner discovering Junagarh Fort, built between 1589 and 1594 by Raja Rai Singh. Visit the Temple of Karni Mata Deshnok -built 600 years ago and dedicated to Karni Mata, an incarnation of the goddess Durga. The temple has huge doors, carved in silver, a gift from the Maharajah Ganga Singh followed by visit to a breeding center and research on camels, the only institution of this kind in India. Bikaner is a complete unique experience. After breakfast drive by surface for Jaipur. Popularly known as the Pink City, built in 1727 AD by Maharaja Sawai Jai Singh II. Designed in accordance with Shilpa Shastra, an ancient Hindu treatise on architecture. En-route visit Fathepur Sikri, this magnificient fortified city was the Capital of the Mughal empire between 1517 and 1585, but had to leave because of shortage of water. After the visit, continue your drive for Jaipur. On arrival in Jaipur, check into hotel. Rest of the day spend at leisure or visiting the surroundings. After breakfast sightseeing tour of Jaisalmer visiting – Jaisalmer Fort, the only alive fort which you will not see anywhere in India. There are homes and hotels hidden in the laneways and shops. 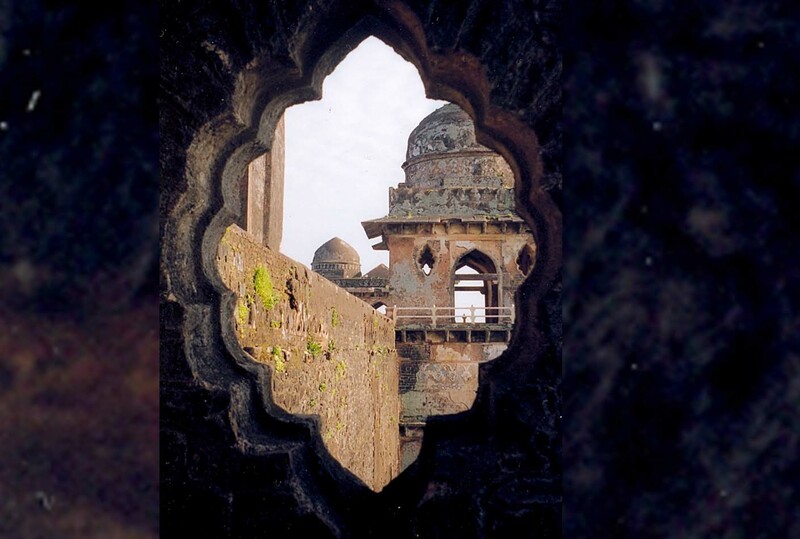 Within the fort walls there are beautifully carved Jain temples built between the 12th and 15th centuries followed by a visit of Gaddisagar Lake and impressive Havelis around the Fort. In the evening drive to Sam where you are received by the camels. 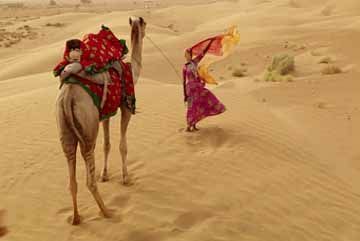 visit to the ” Sand Dunes of Sam,” and ride camels on the sand at the time of sunset- which would be one of the highlights of your trip to Rajasthan. After breakfast take a scenic drive to Jodhpur. Jodhpur- the second largest city in Rajasthan dominated by a massive Meherangarh Fort. The view from the Fort over the blue building of the Old city is one of Rajasthan’s most spectacular sights and this is the reason why Jodhpur is called the Blue city. Rich in palaces and forts, temples and Havelis, culture and tradition, spices and fabrics, colors and textures, Jodhpur is an unforgettable place. On arrival in Jodhpur, check into hotel. Later spend time visiting the bazars of Jodhpur. Morning after breakfast, proceed for the half day sightseeing tour of Jodhpur. There are many great fortresses throughout Rajasthan, but nothing like the majestic Mehrangarh Fort, built at a 400 ft. Within this citadel are magnificent palaces with marvelously carved panels, latticed windows and evocative names. These palaces house a fabulous collection of possessions of Indian royalty, including s superb collection of palanquins, elephant howdahs, miniature paintings, musical instruments, costumes and furniture. Below the fort visit the Jaswant Thada, a graceful marble cenotaph built in1899 for Maharajah Jaswant Singh II, and the memorials of other Maharahahs of Jodhpur. After breakfast drive to Udaipur. En-route visiting Ranakpur Jain temples a famous Temple complex, one of the biggest and most important of Jain temples in India. The main temple is the Chaumukha Temple, or Four Faced Temple, dedicated to Adinath. Built in 1439, this huge, superbly crafted and well-kept marble temple has 29 halls supported by 1444 pillars and no two are alike. After the visit, continue drive towards Udaipur, one of the most romantic cities of India, Udaipur has been called the “City of Dreams” and “City of the Rising Sun”. On arrival in Udaipur, check into hotel. Later experience folk dance of Udaipur. After breakfast drive to Deogarh, surrounded by lakes, hills and rugged countryside, it’s an ideal place to take a break from the rigorous of traveling in India. On arrival in Deogarh check into a delightful Deogarh Castle. Deogarh Mahal is an imposing structure built in the 17th century, a fortified palace situated in the heart of Deogarh village which has been converted into a hotel with a beautiful pool, impressive dining, terraces and rooms which is one of the most impressive historic hotel of Rajasthan. Rest of the day is free to explore the colorful village of Deogarh. After breakfast depart by surface for Pushkar to experience the largest cattle fair of India. Apart from trading livestock, it is also very religious period for Hindus. 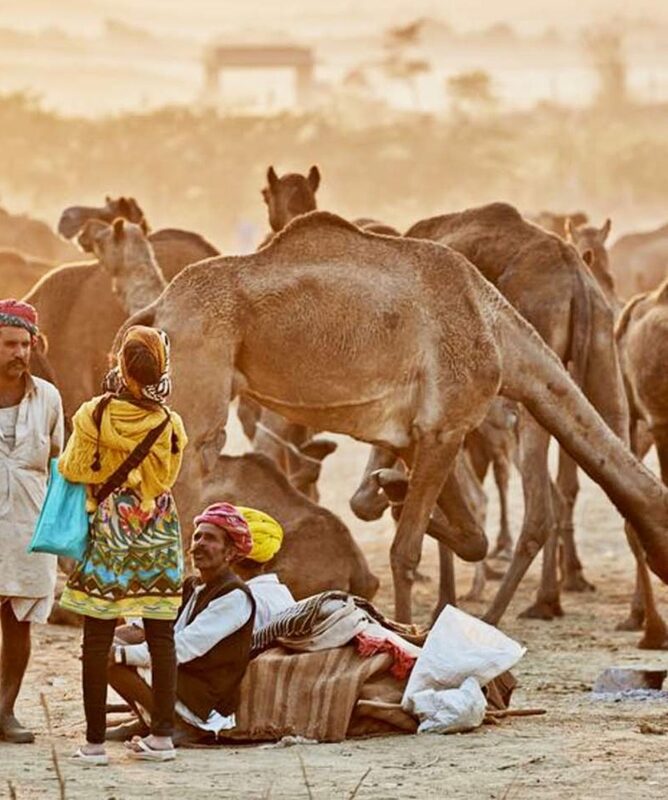 Pushkar is perhaps best known for its Camel Fair, which takes place on the full moon of Kartik Purnima. It is a little town situated right on the edge of the desert. On arrival in Pushkar, check into hotel. Later sightseeing tour of Pushkar visiting the only Brahma Temple in the world and Pushkar Lake with its amy bathing ghats and temples and be a part of this cattle fair. Hundreds of thousands of locals and tourists come to see this gigantic fair that lasts several days. For a week ranchers come from all over Rajasthan with their camels but also horses, goats and sheep. The show seems impressive. Besides the festival there are many free animations. Contest of camels, horses, camel decorations, whiskers, turbans. After breakfast drive by surface for Jaipur. Popularly known as the Pink City, was built in 1727 AD by Maharaja Sawai Jai Singh II. Designed in accordance with Shilpa Shastra, an ancient Hindu treatise on architecture. On arrival in Jaipur, check into hotel. Rests of the day spend at leisure visiting the surroundings. After breakfast full day sightseeing tour of Jaipur visiting — The Amber Fort situated on the one of the ancient ranges Aravali Hills, 11 kms from Jaipur which was the ancient capital of Jaipur Maharaja, a good example of Rajput style architecture. 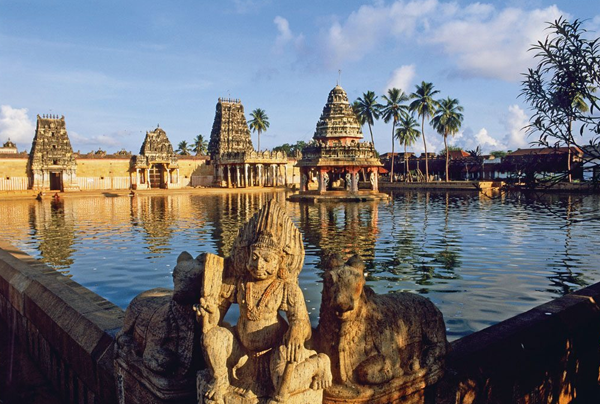 A slow elephant ride takes you to the top of the Fort, which houses several graceful buildings and a temple of Kali. Later visit City Palace and Observatory. City palace is a blend of Rajasthani and Mughal architecture. The son of the last maharaja and his family still reside in the part of the palace. Observatory – Jantar Mantar, built by Jai Singh in 18th Century which is the finest observatory built by Jai Singh out of five Observatories. After breakfast drive by surface for Agra, the city of Seventh wonder of the world. En-route visit Fathepur Sikri, this magnificent fortified city was the Capital of the Mughal empire between 1517 and 1585, but had to leave because of Shortage of water. After the visit continue your drive for Agra. Agra which is known for its world famous buildings constructed by the Great Mughals, situated on the bank of the river. On arrival in Agra, check into hotel. Spend rest of the day at leisure walking around. Early morning the sunrise visit of the famous TAJ MAHAL This spectacular white marble mausoleum was built by Emperor Shah Jehan for his beloved wife, Mumtaz Mahal. 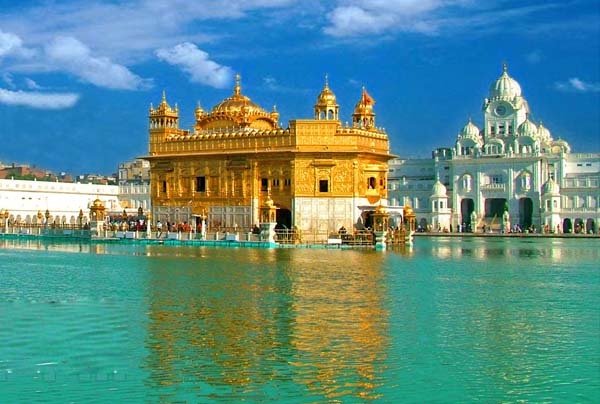 It is a most extravagant monument ever built for love. The shimmering reflection in the water channels is truly breathtaking. After viewing Taj Mahal, return back to the hotel. After having a relaxed breakfast continue your city tour visiting – Agra Fort, the construction of the massive fort was began by Emperor Akbar following with the addtions by the different Mughal emperors, followed by visit to Tomb of Itimad-ud-Daulah — which was built for the Chief Minister of Jahangir’s who was also the father of Nur Jahan, wife of Jehangir. Very often it is also called the « Baby Taj « because its design foreshadows the Taj Mahal. Spend rest of the day at leisure. Morning after breakfast transfer to Delhi airport in time to board flight for onward destination.